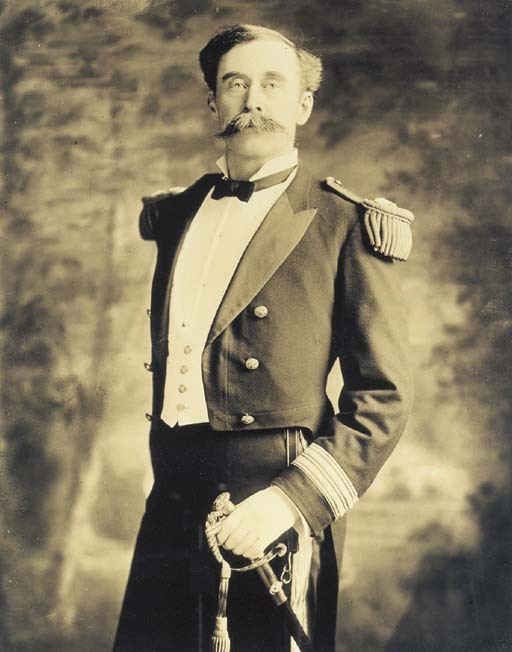 Robert Edwin PEARY. The North Pole. London: Hodder & Stoughton, 1910. 4° (286 x 230mm). Photogravure portrait frontispiece, 115 plates (3 photogravures, 112 mounted), folding coloured map. (Some light light browning). Original cream cloth gilt, top edge gilt (spine and extremities somewhat soiled, small split to upper joint and head of spine). Edition de Luxe, limited to 500 copies signed by Peary and Bartlett, the present copy unnumbered. Cf.Arctic Bibliography 13230. Eivind ASTRUP. With Peary near the Pole... Translated from the Norwegian by A.J.Bull. London: C.Arthur Pearson Ltd., 1898. 8° (210 x 138mm). Half-title. Portrait frontispiece, folding map, numerous illustrations. (Small tear to folding map.) Contemporary half calf gilt (joints split). First edition in English. Arctic Bibliography 777. Robert N.KEELY, Jr. & G.G.DAVIS. In Arctic seas The voyage of the "Kite" with the Peary expedition. Philadelphia: Rufus C.Hartranft, 1892. 8° (220 x 150mm). Frontispiece, 33 plates, 2 maps, numerous illustrations. (Title almost detached.) Original blue cloth, blocked in gilt and silver (very light soiling). A fine copy. Arctic Bibliography 8484. Frederick A.COOK. To the Top of the Continent. New York: Doubleday, Page & Co., 1908. 8° (229 x 154mm). Coloured frontispiece, 22 plates, 1 double-page map. Original green cloth, top edge gilt (head and foot of spine bumped). Provenance: Rupert Shoobridge (inscription). First edition. Arctic Bibliography 3390.